Persepolis and Jerusalem reconsiders Iranian influence upon Jewish apocalyptic, and offers grounds upon which such study may proceed. After describing the history of scholarship on the question of Iranian influence and on Jewish apocalyptic, Jason M. Silverman reformulates the methodology for understanding apocalyptic and influence. Two chapters set the discussion firmly in the Achaemenid Empire, describing the sources for Iranian religion, the issues involved in attempting a historical reconstruction, the methodology by which one can date the various texts and ideas, and the potential loci for Iranian-Judaean interaction. The historical context is expanded through media-contextualization, particularly Oral Theory, and critiques the standard text-centric method of current Biblical Scholarship. With this background, pericopes from Ezekiel, Daniel, and 1 Enoch are analyzed for Iranian influence. 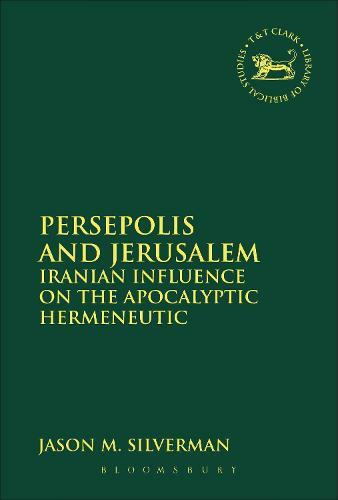 The study then brings together the contexts and analyses to argue for an `Apocalyptic Hermeneutic' which relates the phenomena of apocalypticism, apocalypse, and millenarianism-seeing the hermeneutic as a dialectical thread holding them all together as well as apart- and posits this as the best place to understand Iranian influences.